Style and aesthetics are of the utmost importance to a wedding venue. Couples want an experience rather than just a place. Construction is underway, but there is still much work to do in terms of lighting and decor. However, the vision is clear and we are excited to share it with you. A single Gothic window on the South face will shine light into the barn. Once inside another Gothic window on the far North end will add a powerful shape. This Gothic window will preside over the ceremony area. Gabled windows will bring light in from the West. At night, the large central chandelier will inspire any romantic. The trusses that run vertically inside the barn holding the Gothic shape will be lit from the floor towards the ceiling. Customary of many European barns is the pointed roof. Vennebu Hill’s east facing new addition will showcase this interesting roof. Guests will enjoy a large deck below the roof that overlooks the Baraboo Bluffs and Wisconsin River. An entrance into the lobby narthex greets guests with wood-styled flooring, wood rafters, and a Norwegian blue ceiling. In the lower level of the East building, two wedding prep suites will be available for couples. These rooms also serve as smaller meeting spaces. Each will be equipped with a sink, small refrigerator, seating, make-up prep stations, and mirrors. Walk through the hallways and bathrooms until reaching the entry point to the lower level of the barn – the “Wine Cellar.” Flooring will be a mix of concrete and wood-style vinyl tiles accented by wood support posts that offer an authentic barn aesthetic, while the flooring will offer some acoustic buffering. Continue through the “Wine Cellar” into the open “Lean To” which will serve as additional dining space. The west end “Lean To” will have a sloping ceiling with skylights, white barn wood wall accents, wood style vinyl flooring, and access to a small patio along the west side of the building. There will be many access entrances and for both wedding parties to make their entrances private and accommodating to their needs. 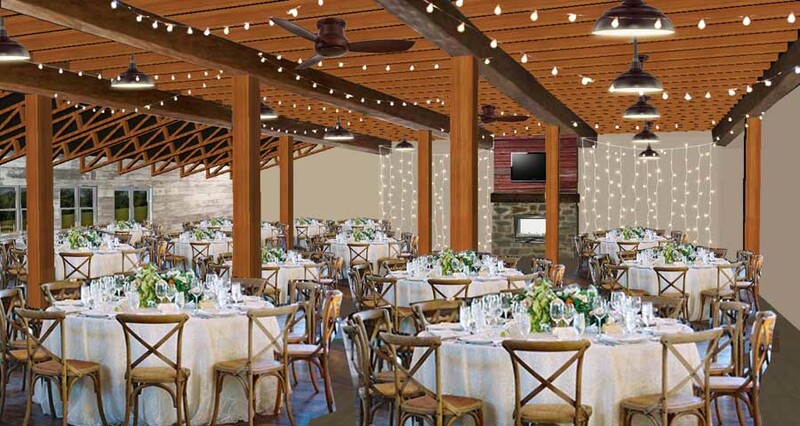 The groom or gender friendly equivalent can access the barn ceremony area from a secret back staircase. A deck and doors provide not only ease of entrance but also a fire exit. 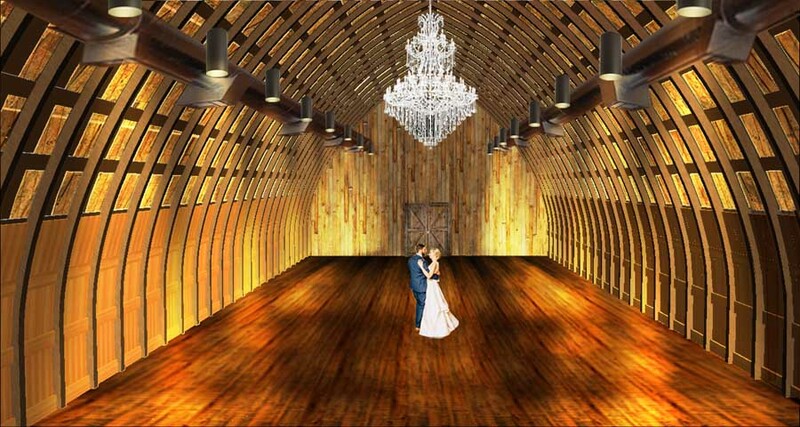 The bride will be able to hide in a special waiting room to the right of the barn’s main front doors. The bride or gender-friendly equivalent can take a minute to say a prayer, catch his or her breath, visit with a parent or friend, while the last guests hurridly find their seats before the ceremony begins. For a more detailed look at the inspiration behind Vennebu Hill’s interior style, visit our Pinterest page.